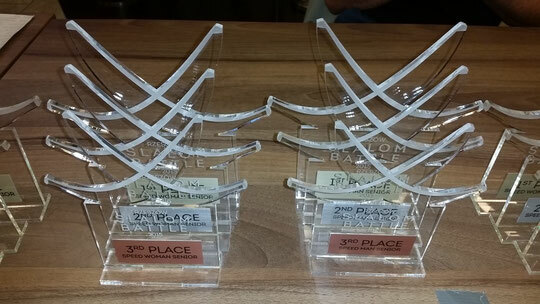 The annual Battle Rzeszów was held in Poland on November 21st - 22nd. This year, this competition was upgraded to the prime status, attracting almost 80 skaters from Poland, Slovakia, France, Belarus, Belize and Canada to compete in the Freestyle Battle, Classic, Speed Slalom and Free Jump Disciplines. The triple winner of last year, Klaudia Hartmanis (Pol, #2) took two first places, winning Classic and Battle Disciplines and leaving the first step of the Speed Slalom podium to Paulina Czapla (Pol, #6). French skater, Ambroise Nicolao (Fra, #54) brought home three 1st place's medals of the Junior category, in Battle, Classic and Speed Slalom Disciplines. The best rider in Junior's Classic and Battle was Justyna Czapla (Pol, #20). Justyna also won the Women's Free Jump Competition in front all Senior opponents! Natalia Wisz (Pol, #91) did great, winning her very first Junior Speed Slalom competitions. Bombel Ziombel (Pol, #81) was the strongest skater in the Men's Free Jump event. Dawid Jaworski from Poland (#12) performed the best result of the competitions, winning three main disciplines in a row, Speed, Classic and Battle! Dawid is the 4 times Speed Slalom winner of the Battle Rzeszow, he won this event in Speed Slalom Discipline in 2012, 2013, 2014 and 2015! 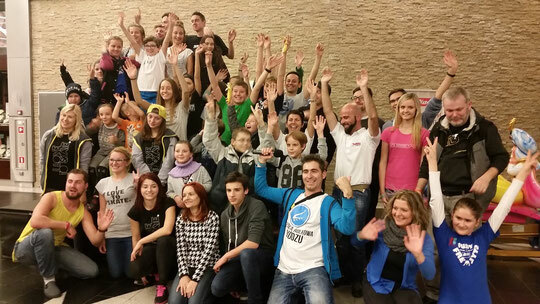 "This time Rzeszów Slalom Battle was increased to a 2 cone event so it was not so easy to compete!!! ", Dawid said, "Im proud of myself because the level of the Polish skaters is growing up very fast, so it was quite hard to win Battle and Classic Disciplines. 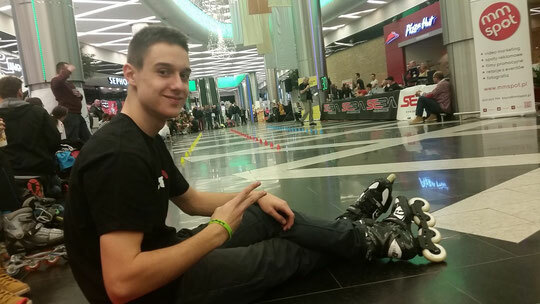 It was easier for me in Speed Slalom because my friend Pavel Breznik, a very talented speed slalom skater by the way, unfortunately lost his rounds and could not fight for the victory. Polish skaters show a high level of skating, proving to me that they will not give up so easy! In one time when I meet with Tomasz Mroczek in the semi-final I almost lost, but somehow I calmed down and won the race. All event was a great party with my friends from Poland and also from another countries like France and Slovakia. For the moment, it was my best event and I had so much fun . I would want to organize Polish Championship in Kętrzyn city just like Rzeszów slalom Battle, with a lot of good music and fun. At the end I want to thank all my friends and especially the BlueBear Team and my coach Jerzy Pruszyński for their support."